Experience Munich and Bavaria through the eyes of an insider! Private and VIP custom tours offered year round. Planning your holiday; ask an experienced private guide who cares about your security to help you. All my Tours also offered in German, deutsch / Alle meine Touren können auch in Deutsch geführt werden. Offered are individually planned Exclusive Day Trips & Tours to all of Munich’s and Bavaria’s famous and unknown points of interest. Imagine your own personal driver, guide, and translator! 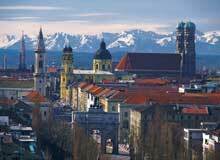 Johns Bavarian Tours offers you a private guided car service in Munich and Bavaria. You will experience convenience & comfort in a personalized car tour according to your wishes! Benefit from my 30 years of expertise in Munich & Bavaria, by allowing me to help you with detailed holiday planning; making your holiday one you will always remember. Bavaria has many hidden and charming places to visit off the beaten track. There are also many back doors to the more frequently visited places, from which I hold a key. You will find many tours offered on this website under private tours. Custom tours are always possible according to your personal interests and wishes. 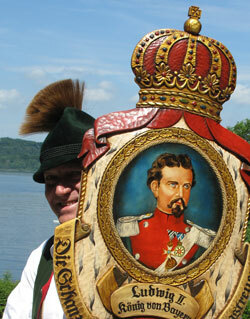 Together we will visit southern Germany’s most thrilling and impressive sites and vista's. Your private tour guide in Munich & Bavaria for all your travel and vacation needs. Allow me to help plan your vacation in Munich & Bavaria from beginning to end! With my many years of experience and expertise you will enjoy high quality service. View breathe-taking scenery & scintillatingly bright panoramas while breathing the pure Bavarian Alpine air. Please allow me to help you with your Holiday Planning. If you have only a day, or a week I can assist you in planning your vacation in Bavaria from your landing in Munich to your return flight! Holiday Planning - With my most popular tours! Breweries in Bavaria, come join in on all the fun! 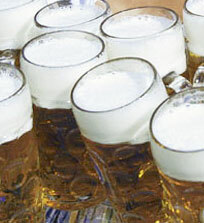 Brewery tours in Upper Bavaria now celebrating more than 500 years’ German Beer Purity Law 1516. Regensburg: UNESCO World Cutural Listing. A Middle Age City of Romantic and Glory! The old medieval village of Regensburg has much to offer you; we can visit the Cloister St. Emmeram which dates back to 739 a d. and the Palace of Thurn und Taxis. Many special tours are offered throughout the season to Ludwig’s castles, also a visit to the Ludwig Museum will be possible. You will need several days to make my full day tours, where I will show you his many castles and beautiful parks that are deep in the Bavarian Alps. Johns Bavarian Tours is offering you a very unusual combination of tours concerning this talented mans accomplishments here in Bavaria. The following feature was published January 2013 in The Luxury Travel Guide, in which John B. Wetstone & Johns Bavarian Tours acted as the experts on Visiting Munich. Many guests have enjoyed my services over the years. Read behind the scenes about what they have experienced during our time together. 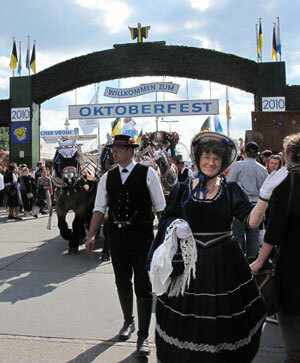 Oktoberfest 2010 - 200th anniversary with an special historical "Wiesn"